Desert High School senior Amanda Rodriguez receives a round of applause from Brig. Gen. E. John Teichert, 412th Test Wing commander (far left), and Chief Master Sgt. Roosevelt Jones, 412th TW command chief, after she learned that Kern County Congressman Kevin McCarthy (R-CA 23rd District) has endorsed her for entry into the U.S. Air Force Academy. 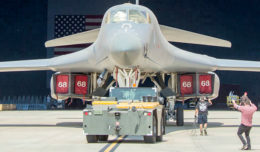 Rodriguez was invited to the 412th Test Wing commander’s office for the surprise. A visit to the general’s office turned into a life-changing event for one Desert High School senior Nov. 27, 2018, at Edwards Air Force Base, Calif.
Amanda Rodriguez thought she was going to meet with Brig. Gen. E. John Teichert, 412th Test Wing commander, and Chief Master Sgt. Roosevelt Jones, 412th TW command chief, to discuss more tips and options on achieving her goal to attend the U.S. Air Force Academy. In the middle of their conversation, Teichert’s conference call phone rang. On the line was Congressman Kevin McCarthy, R-Calif., 23rd District, who to Rodriquez’s surprise, asked to talk to her. “I thought I was just going to get more advice and mentoring from the general and Chief Jones,” said Rodriguez. But what she got was a full congressional endorsement from current House Majority Leader McCarthy who gave his blessing for Rodriguez to attend the Air Force Academy. After being overcome with emotion, she jumped up to hug her mother, Lorena Rodriguez, who is a nurse with the 412th Medical Group. High performing high school students who wish to attend a military service academy must complete two requirements — be accepted to the academy and have an endorsement from their local congressman or congresswoman. From left to right: Brig. 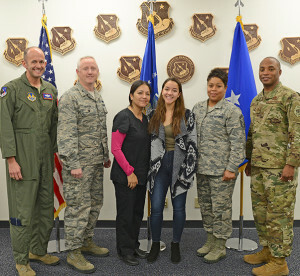 Gen. E. John Teichert, 412th Test Wing commander; Col. Kirk Reagan, 412th TW vice commander; Lorena Rodriguez, 412th Medical Group; Amanda Rodriguez; Senior Master Sgt. Cortney Jones, Desert High School Junior ROTC instructor; and Chief Master Sgt. 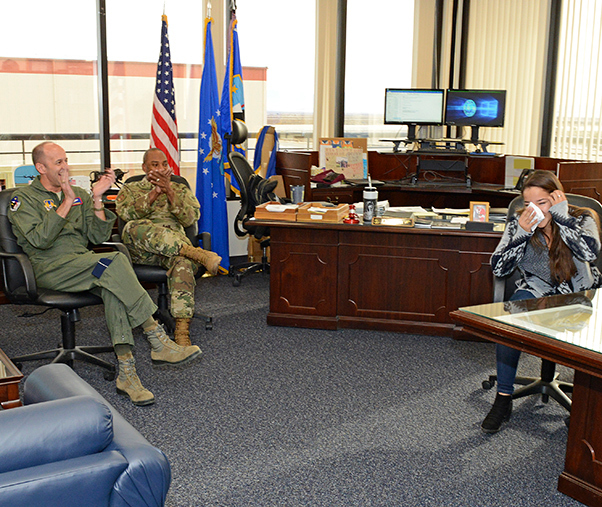 Roosevelt Jones, 412th TW command chief; pose for a group photo after Amanda learned that Kern County Congressman Kevin McCarthy, R-Calif. (23rd District), has endorsed her for entry into the U.S. Air Force Academy. Rodriguez says she wants to major in biology and one day become a doctor in the Air Force. Rodriguez also thanked Col. Kirk Reagan, 412th TW vice commander, for his help in the process. 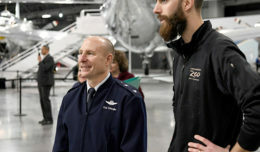 Along with mother Lorena, the aspiring Air Force officer’s father, Richard, also works at Edwards at the 412th Maintenance Squadron. Rodriguez is still waiting to hear on her acceptance to the academy, but has one important step completed.